One of the worst feelings in the world is to think “Oh no, I’ve Lost My Keys”. In those sorts of situations, you need to find a cheap locksmith that can take care of pretty much anything and everything that you may need to get it replaced or copied. 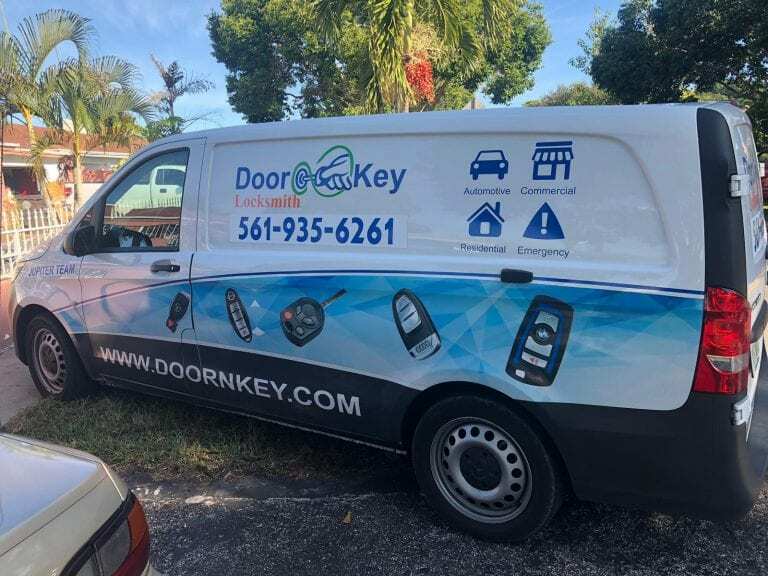 At Door N Key locksmith in Jupiter FL, we will do what we can to make sure that you get all of the keys taken care of and all of your locks replaced, if necessary. This includes things like your garage door locks, your patio locks, your business locks, and even your car locks. Contact us to learn more about our services. Locked out your car once again? Don’t worry – it happens to all of us. Luckily, Door N Key is now here to provide a complete array of automotive locksmith services. Whether you need a new lock for your car or a set of new keys, we can provide it all. Car lockout services are top of our extensive offer, because our technicians are experienced, well-trained and deal with all types and makes of vehicles. Our new automotive service package includes immediate response, attractive prices and fast, efficient service with no concerns about damage to your car. You can trust on us any time you experience a car lockout. Looking for a reliable company that can sort out your security needs and requirements? Door N Key is your friendly partner that completely understand the importance of the home security in these harsh times with increasing rate of home burglaries and break-ins. Homes with the minimum visibility and obstructions are an easy target for a robbery, where a thief can enter and take as much of your valuables as possible. Break-in repairs and prevention are our specialty, because of our extensive experience in providing home security services. Our website contains a detailed catalog of our products and services suitable for your home and needs, so feel free to browse it anytime. You have a company, trade or production halls situated at more than one location? Master key system is an ideal solution that allows you to have control over all objects using only one key. The system is designed to meet your individual requirements, and Door N Key may implement it in your project during the construction of a new facility or introduced gradually into your existing infrastructure facilities, as a replacement of the old cylinder units. We are certain that you can find even more services that are not listed on this site, so call us to arrange a visit or to get informed about additional information on our company.